There is a lot to love about today's 'All Things Nice' profile! This little visionary brand called Eoh & Roro is all about teaching kids about animals. through the clothes they wear. Each garment comes with a card that is jam packed with info about the animal that it features. Even better $1 from each product sold goes to a selected environmental protection agency. Definitely more sugar! It wouldn’t be rare to find me cooking up a chocolate pudding at 9pm at night to settle a little craving I may need to indulge! After having baby #2, it was very obvious that my career in the film and tv industry was not going to be sustainable. My little boy was forever asking me about animals, where this animal came from and what that animal liked to eat and as my partner is a wildlife photographer, I felt it was a huge injustice to see his amazing images just sit on a hard-drive and I knew we could do something special with them, so Eoh & Roro was born. My son came up with the name Eoh & Roro for me. His name is Leo and our Staffy’s name is Ronin, so when he was little and ‘learning his words’ he use to call himself ‘Eoh’ and our dog ‘Roro’. Seeing he was my inspiration, I figured he also had to be part of the name. 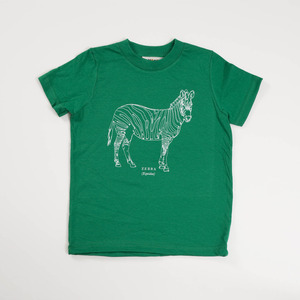 My favourite piece from our current range would have to be the zebra. Many people love the giraffe and his long, long neck, but I love stripes of the zebra. We have a website – http://www.eohandroro.com.au/, where you can link to our facebook, blog and twitter profiles.